Crossover ventures are always a pretty good idea from a marketing standpoint. By combining the popular characters of a variety of brands, you chance the opportunity to pull together fans from multiple franchises, all vying to see their favourites in action. We all know that this theory works and can be very successful. Just ask Masahiro Sakurai. Blade Strangers is a new one-on-one fighter from indie outfit Studio Saizensen and published by Nicalis. It gathers a selection of characters from some deeply held independent games such as Code of Princess EX, Shovel Knight, Cave Story, and even The Binding of Isaac for accessible, stripped-down fighting action, with an Arc System Works-lite approach to visuals, gameplay, and mechanics. And you know what? It's pretty good. Blade Strangers gets around its crossover plotline by insisting that all universes are being concurrently simulated by a series of powerful, sentient computers: The Motes. But the Motes are in danger, something both evil and adorable is threatening their presence, and thus they are required to gather together a group of fighters to establish a defender, the titular "Blade Stranger." It's a very silly story, frankly, but then Blade Strangers doesn't take itself too seriously. 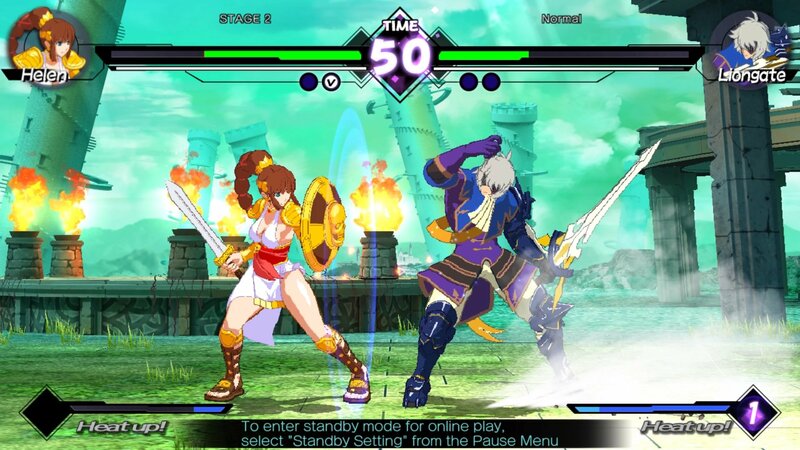 Designed for fighting game players of all levels, Blade Strangers has a simplified control system with two attack buttons, a skill button for moves such as overheads, and a special button, which activates special attacks when pressed in conjunction with a direction. Throws and EX maneuvers are performed by pressing combinations of buttons, plus each fighter has a couple of dramatic supers, activated by hitting Strong, Skill, and Special. The general speed, weight, and flow of the fight is similar to Arc Sys games such as BlazBlue and Guilty Gear, but Blade Strangers is far, far simpler in design. At a base level, combos are a matter of tapping an attack button a few times, and then cancelling into special moves. 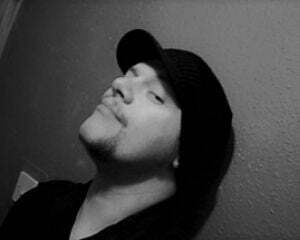 This allows absolute beginners to chain together cool-looking strings with minimum effort. For those with a little more experience, clever positioning and timing can lead to extended juggles, Off-The-Ground attacks, combo breakers, and even super cancels. It's a system that's undeniably simplistic, and somewhat takes the pleasure out of technique, but it definitely allows players of all skills to get a handle on the game, even though veteran fight fans may find it stifles creativity. Regardless, it makes for satisfying combat for the most part, better than I was expecting. For a niche, semi-budget fighting title, Blade Strangers gives you a lot of bang for your buck. Along with your standard VS, Tutorial, and Training modes, there is also a thin Story Mode, Survival, an Arcade ladder, and even Combo Trials. Online and local multiplayer are obviously present and correct, though I did struggle to find matches in the former. Add to this fourteen characters, each with multiple colour combinations, and that's a healthy bundle of content for your forty bucks. 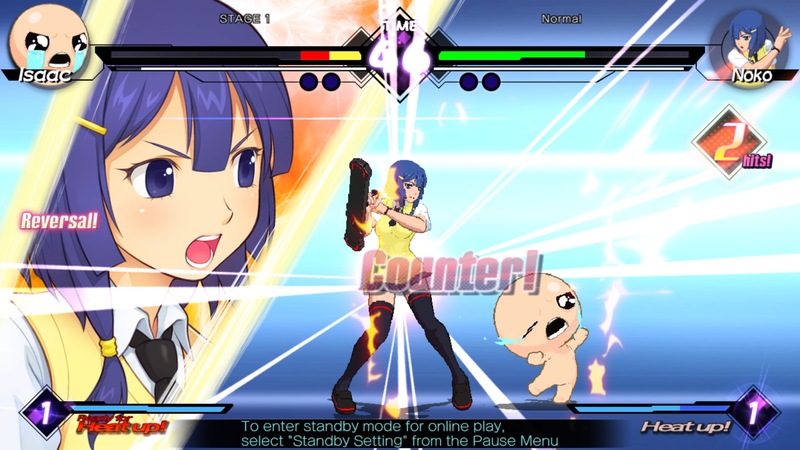 The game also follows Arc System Works' lead in its use of large, colourful anime sprites. All your favourite fighters are well drawn and finely animated but, as you may notice from the screenshots, they are also quite "jaggy" (as the kids say) with awkward breaking outlines in motion. Personally, this didn't bother me at all, but I have heard complaints from others, with this visual effect apparently a dealbreaker for some. No such complaints exist for the audio, with a wailing guitar soundtrack by U.S. band Ridiculon backing meaty sound effects and a fully-voiced cast of characters (Japanese dub only). There should be a market for mid-tier fighting titles. A gamut of games that don't necessarily require daily dedication in order to just have a short, satisfying scrap between sessions. That's not to say that all fighters should follow the example set by Blade Strangers. Fighting games can - and should - be as specialised as any other competitive genre. 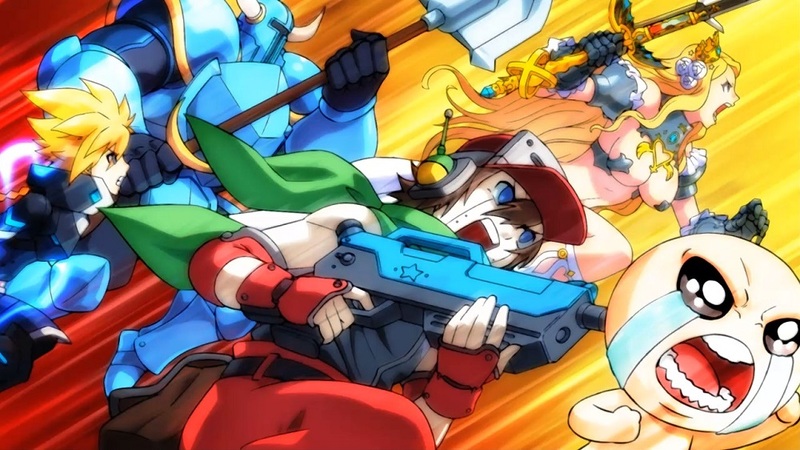 But in a market that scares off a lot of newcomers, with mechanics that leave beginners baffled and feeling frustrated, games like Blade Strangers go some way toward giving them an opening, along with the satisfaction of pulling out that perfectly-timed reversal, or amazing match-winning combo, while remaining quality products in their own right. Blade Strangers is a fun, friendly, accessible fighter. It allows newcomers and experienced players alike the opportunity to throw down with some great characters, without necessarily concerning themselves with one-frame-links or meaty reversals. Whilst that lack of tech-depth may prevent Blade Strangers from holding the attention of the pros, or blowing up on the competitive circuit, it's sure to be a hit at any good-natured rumble with friends, battling for pride within your own four walls.